In Berlin’s vibrant club scene, it’s easy to become another artist lost in the crowd. To stand out, musicians must bend genres, take risks and keep fans on their toes, always anticipating what’s next. Niconé does just that. Constantly creating and always innovating, this German DJ and producer doesn’t shy away from a challenge. Alexander Gerlach started Niconé in 2007 as a project promoting music and fashion – he has a knack for graphic design and an interest in clothing alongside his passion for music. Since the beginning of his music career, he’s released a string of albums and EPs, both solo and with artists like Sascha Braemer, Jan Blomqvist, and Philip Bader to name just a few. Niconé’s music cannot be defined simply by a genre, but rather, a feeling: the feeling when a dance floor full of strangers unites to form a singular mass, all dancing to a common beat; of the sun coming up in the early morning as a party reaches its peak; of the hours spent conversing with new friends as after-hour tracks pound in the distance; of nostalgia for years-gone-by balanced by an excitement for what’s to come. Dantze, the label he founded together with Philip Bader in 2006, has become a platform for releasing the works of talents like Britta Arnold, Gunjah and Daniel Dreier. 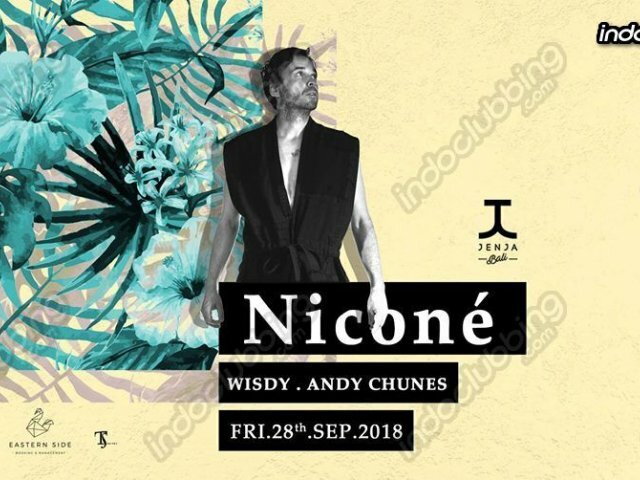 The label embraces several electronic music styles that convey similar euphoric feelings experienced when listening to Niconé’s own tracks, but all in their very own way. His releases on labels like Stil vor Talent, Katermukke, Bar 25 Music and of course, Dantze, take in influences including deep house, tech-house, old-school electronic music as well as non- electronic genres. But the classifications aren’t what’s important – it’s all about conveying a feeling, something Niconé does masterfully.